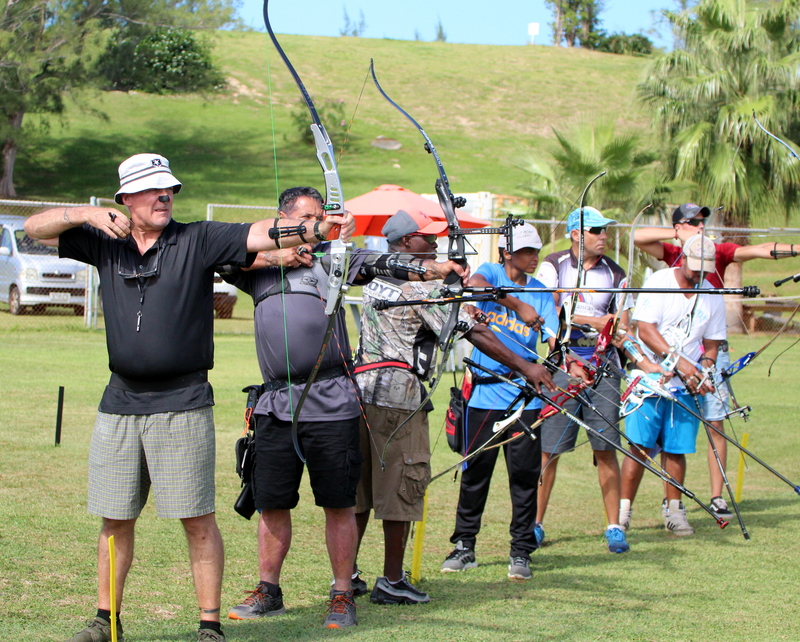 The Gold Point Archery Outdoor League continued at Southside in St. David’s. The competitors shoot with a target size of 40cm at a distance of 18m. Week two saw the competitors compete in much better conditions than the previous weekend, with a light breeze out of the North East at 9 mph and a temperature of 81 degrees. For a second week in a row, youngster Jaydon Roberts held on to the top position with a score of 530, he would hold off a strong challenge from Robert O’Connor who scored 529, while Ernest McCallan was third with a score of 515.